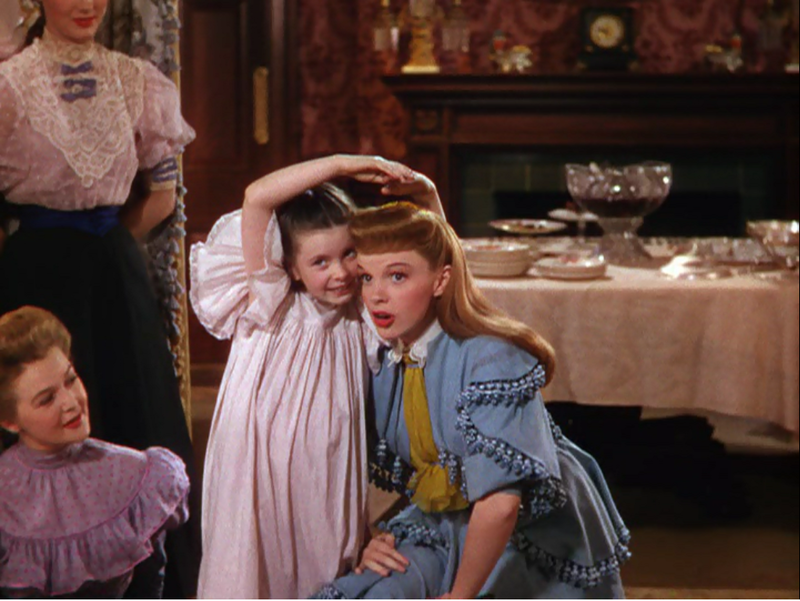 A family musical set in the lead-up to the 1904 World's Fair, Meet Me In St. Louis is a heartfelt story of suburban normalcy with excellent performances, gleaming colours and Judy Garland at her artistic peak. The middle-class Smith family of St. Louis is anticipating the arrival of the World's Fair, now a matter of months away. Anna (Mary Astor) keeps the household humming, her husband Alonzo (Leon Ames) is a respected lawyer, and his father, referred to only as Grandpa (Harry Davenport), is the resident curmudgeon. Daughter Rose (Lucille Bremer) is waiting for her beau Warren Sheffield (Robert Sully) to propose, while her younger sister Esther (Garland) is trying hard to attract the attention of John Truett (Tom Drake), the boy next door. Precocious youngest daughter Tootie (Margaret O'Brien) idolizes her older sisters. Alonzo drops a bombshell by suddenly announcing that he has accepted a new lucrative position with his firm to head up the New York office, forcing the entire family into an unpopular move. Rose and Esther scramble to firm up their romances, Tootie finds a whole pile of new trouble on Halloween night, and as a wistful Christmas approaches, the family prepares for major change. The genius of Meet Me In St. Louis emanates from weaving musical magic around typical family life. The Smiths are not any different than any other middle class household, and they are occupied with the routine challenges of preparing meals, falling in love, managing work, growing up and anticipating the upcoming arrival of a major event in their fair city. The most dramatic moments befall tiny Tootie on Halloween night, and even then most of the turbulence is in her imagination. Otherwise life is just ordinary. And from the narrative of daily life director Vincente Minnelli creates a joyful low-key musical tapestry, the short songs naturally and beautifully embedded in the story to enhance key moments. The musical highlights include The Trolley Song as the family heads out to check out the fairgrounds months before the big event arrives in town, and Esther singing Have Yourself a Merry Little Christmas to try and cheer up a disconsolate Tootie. The essence of the film is captured in a scene of enormous yet calm power. Minnelli finds the glowing heart of the family when Anna sits at the piano and joins Alonzo in singing You and I, the rest of the family quietly reconvening in the living room to eat cake, minutes after they had splintered in anger after Alonzo's moving-to-New-York surprise. It's a moment of movie magic that defines love and trust within a close knit family. 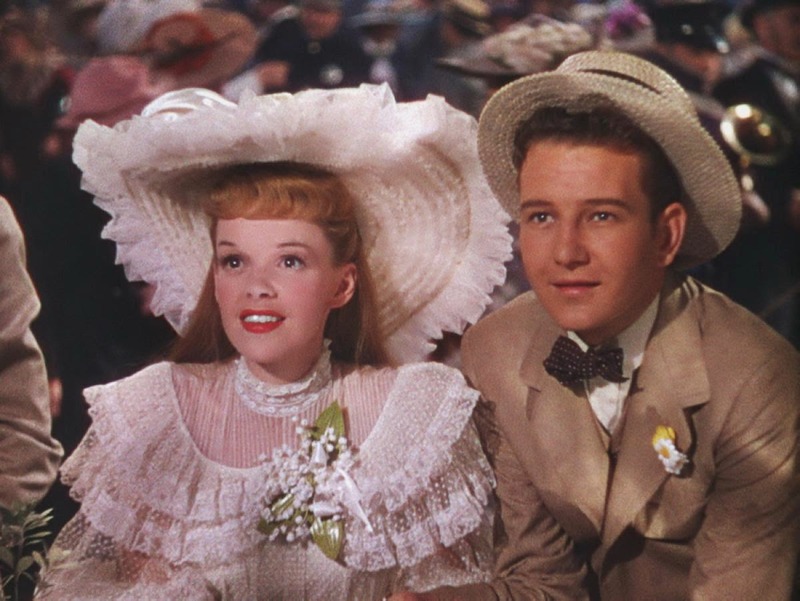 Judy Garland, at 22 years old, was probably at her peak for Meet Me In St. Louis. Looking radiant in every scene, she acts and sings with understated confidence. Esther is the hinge point of the family, growing into a fine adult while still young enough to relate to her younger sisters, and Garland effortlessly carries Esther's burden of proactively managing the family equilibrium while planning her own flirty pursuit of John Truett. Filmed in shiny colours and with an infectiously charming attitude, Meet Me In St. Louis is an irresistible invitation.